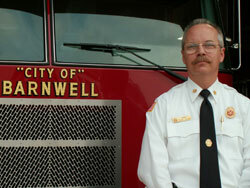 The Barnwell Fire Department was organized in 1919 to protect the lives and property of the citizens of then the Town of Barnwell. Starting as a volunteer fire department we have grown to a combination department with a volunteer staff of 27 fire suppression personnel and a paid staff of 4 consisting of a Chief, and 3 Engineers. Our station is located at 280 Washington Street and houses 3 engines, 1 ladder, 1 service and 3 specialty response trailers. Emergency services rendered include, but are not limited to fire suppression; fire investigation; vehicle and industrial extrication; hazardous material incident response; and disaster preparedness and response. In addition, the department provides fire prevention education and training to local businesses, industry, churches, schools, and civic organizations. Annually during National Fire Prevention Week the department interacts with over 600 children. The department is also involved in various student school to work programs at the high school level and sponsors the local Fire and Emergency Services Explorer Post No.1919. 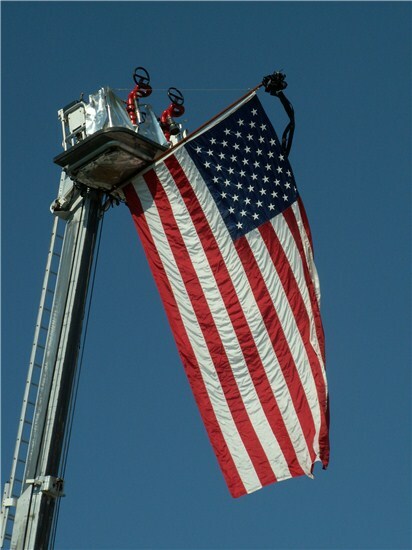 It is the goal of the Barnwell Fire Department to provide effective services and programs that protect and educate the citizens of Barnwell from the adverse effects of fires, natural disasters, and other emergencies which threaten the city.